“My advice is to make sure you properly wash with a good car-wash, wipe/dry with a quality chamois (not a towel! ), let it dry, and wax each time with a quality wax. 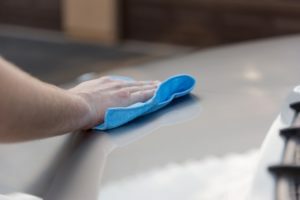 At shows and cruises use a quality duster then spray wax and wipe off with a microfiber cloth.” – Thomas Riley Sr.
What do you think of this advice? Do you have any car care tricks or tips of your own?